After what feels like a whirl wind Bella Forte Designs is all settled and feeling inspired in our new home. 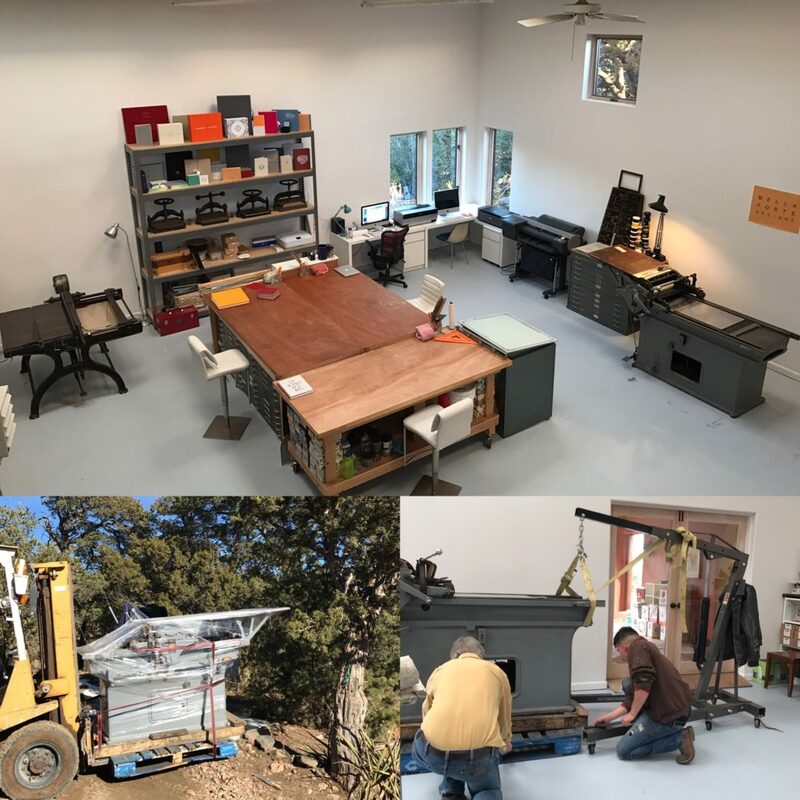 Nestled in the foothills of the Sangre de Cristo mountains in Santa Fe, New Mexico Bella Forte Designs is enjoying the sunshine and vast landscape. Moving a growing studio is no easy task. The Vandercook letterpress weighs over 2000lbs alone! In addition to the press there is the board shear and multiple large scale flat files. Boy did we have our work cut out for us! With the help of an amazing moving team the entire BFD studio made it 2000 miles to their new home. After the all the heavy equipment made it safely inside we quickly and thoughtfully set up the new studio. With eight skylights BFD left the city life for natural light and warming rays. Large windows fill the studio with views of mountains and blue skies. As a result the entire BFD team is feeling a strong creative energy. Most of all we are feeling very inspired to make your vision a reality. Let us elevate your new portfolio review, presentation, pitch or project to its very best! While you plan browse through our PDF portfolio to see some of the possibilities.